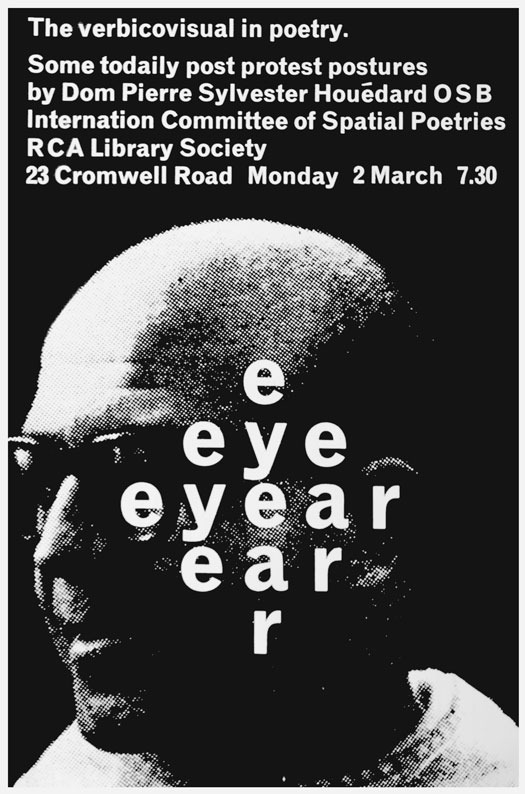 Typographica has been central to my last two posts and this one continues the excavation of a 20th-century design magazine of the greatest significance. 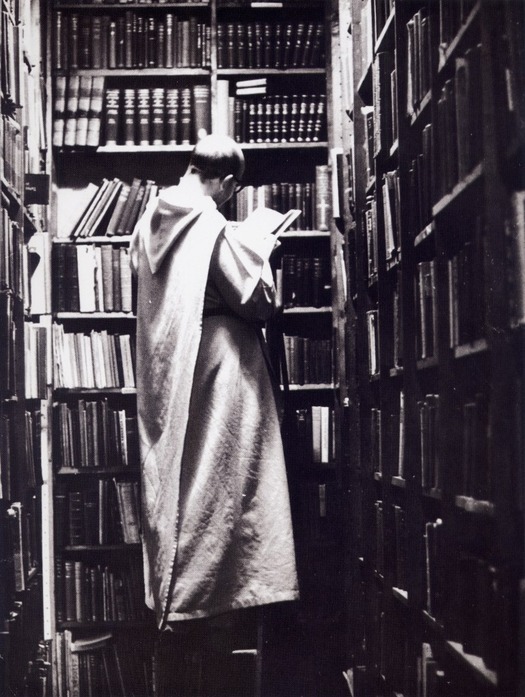 Here, I want to focus on one of the most fascinating figures in its pages, the Benedictine monk and concrete poet Dom Sylvester Houédard (1924-92), who lived at Prinknash Abbey in Gloucestershire, England. I first encountered his name in the indispensable cross-disciplinary survey Art without Boundaries: 1950-70, where a spread about him is sandwiched between David Hockney and William Klein. It wasn’t until I began my studies of Typographica in the early 1990s that I understood just how remarkable an individual Houédard — or dsh as he signed himself — had been. In December 1963, in Typographica new series no. 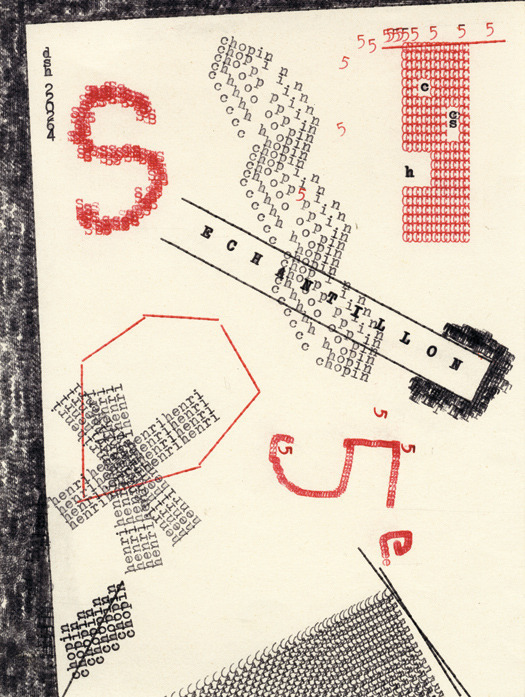 8, Herbert Spencer, the magazine’s editor and designer, published Houédard’s essay “Concrete Poetry & Ian Hamilton Finlay.” This is thought to be the first article about concrete poetry to appear in the UK and it is written in a super-condensed style, almost like a series of free-flowing notes, which would have been as novel for readers as the subject matter. 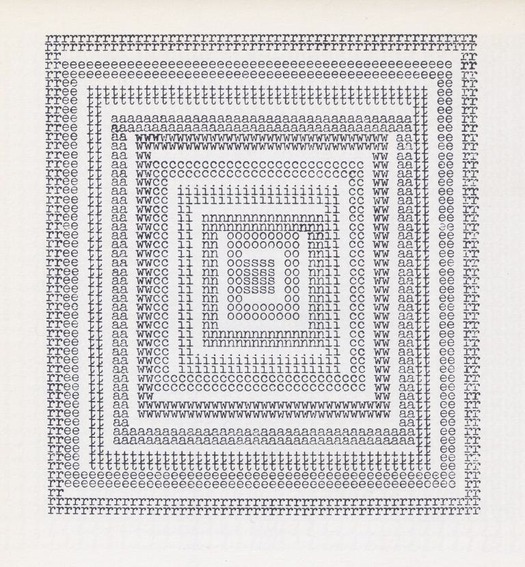 Houédard went on to become a tireless early champion of concrete poetry in Britain, and he produced visual poems of his own, which he called “typestracts” (combining “typewriter” and “abstract”), using an Olivetti Lettera 22 typewriter. These frail works are often incredibly subtle and beautiful. 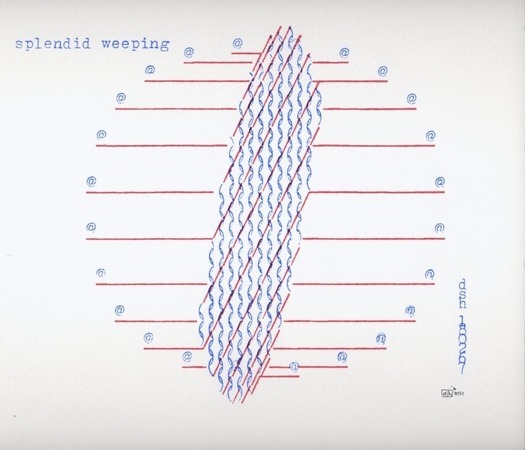 Inspired by this I began to collect material relating to Houédard and was lucky to find a copy of Ceolfrith 15 (1972), a vital source of detailed information about dsh, at a book dealer in New York, as well as a copy of his booklet 12 dancepoems from the cosmic typewriter (1969). 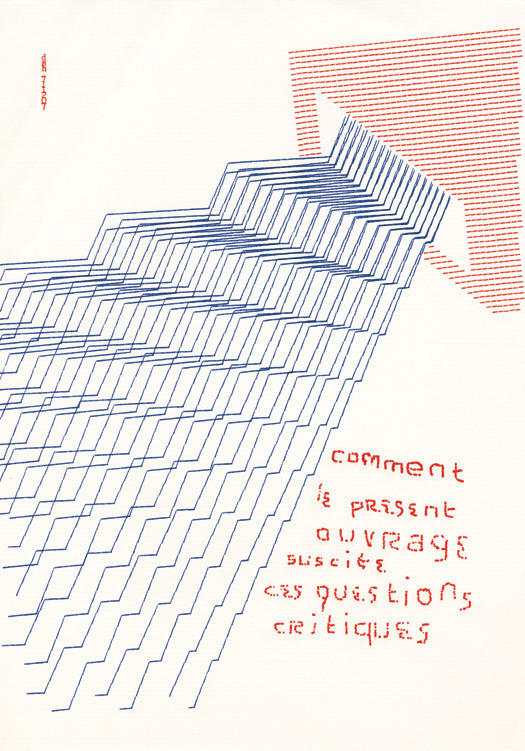 In 1999, I persuaded my co-editors to reprint the general part of “Concrete Poetry & Ian Hamilton Finlay” in Looking Closer Three because it seemed to me that the connections between concrete poetry and graphic design, in the 1960s and later, were in pressing need of investigation, and that Houédard’s text was an essential starting point for this research. A few years ago, surprised that such an original figure appeared to be sinking into pre-Internet obscurity, I started researching him with the intention of writing something. I visited his archive at the John Rylands Library in Manchester, made progress, and then stalled. Looking at his personal library of esoteric religious texts, I realized there was no way of fully understanding his work without a deep acquaintance with the religious ideas that inspired it, from the mysticism of Meister Eckhart’s medieval sermons to Zen Buddhist ideas of impermanence, non-duality and enlightenment. The subject was big enough to require and merit doctoral research. That research is now happening and it’s starting to bear fruit. A new book has just come out, Notes from the Cosmic Typewriter: The Life and Work of Dom Sylvester Houédard, published by Occasional Papers (I mentioned the London publisher here a few months ago). The editor, Nicola Simpson, who studied and taught Tibetan Buddhism, is researching a PhD about Houédard at Norwich University College of the Arts, where she organized an exhibition of his work in 2010. 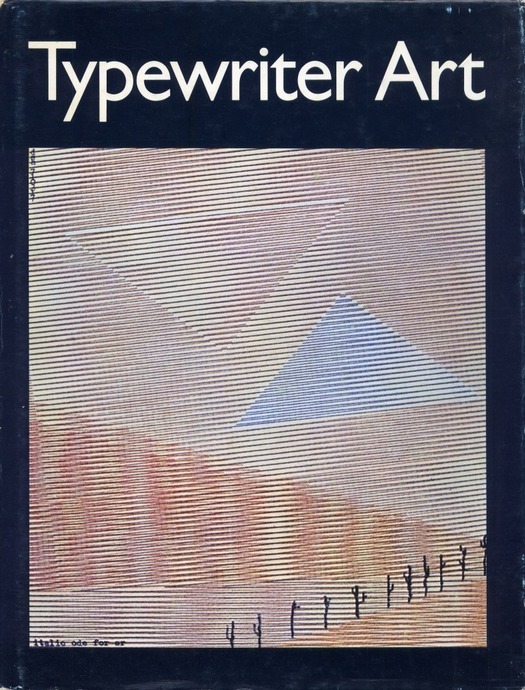 I have an essay in the book titled “DSH’s Typestracts: Horizons and Spirit Levels.” There are also texts by Simpson, by Charles Verey, who edited Ceolfrith 15 and is writing a biography of Houédard, and by the musician and music writer David Toop. Gustavo Grandal Montero, a librarian at Chelsea College of Art & Design, contributes a useful chronology. 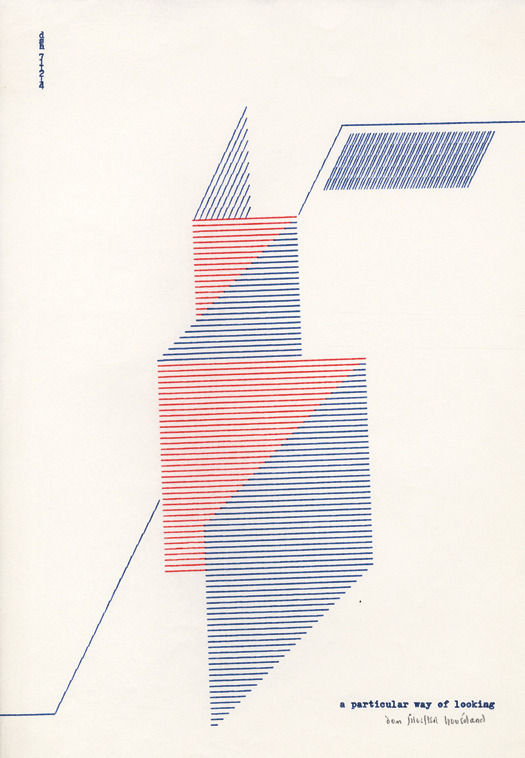 As well as plentiful examples of Houédard’s typestracts, poem-objects and event scores, the book includes several otherwise hard to find pieces of his writing, including “Beat and Afterbeat” and the Typographica essay. Simpson and Occasional Papers also organized a well-attended one-day celebration of Houédard at the South London Gallery, which included talks by people who knew him such as Verey (who has recently written a nice appreciation) and the art writer Jasia Reichardt, curator of “Between Poetry and Painting” (1965), and a presentation of Houédard’s previously unseen, early, pre-typestract art by Marvin Sackner from the Sackner Archive of Concrete and Visual Poetry in Miami, which has the largest collection of Houédard’s work, as well as some correspondence — dsh was a prodigiously prolific letter writer, with an address book said to run to 3,000 names, and his communications were highly collectable works of playfully composed typewriter art. Greg Thomas, a young academic from the University of Edinburgh, who is doing a PhD about Houédard and three other key concrete poets, gave a grippingly insightful unscripted talk. As visitors pored over typestracts, rare publications and documents in the temporary exhibition, it was clear that the moment of the moonlighting polymath monk in the black cape and beret has finally arrived. superb in text and images. 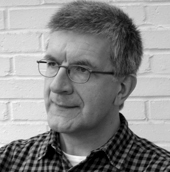 And thanks for your mention about David Toop, a great music critic. great-fantastic news about the book. fairly decent book recently on John Furnival too. hoping for something on Ake Hodell too . . . although perhaps unlikely in english. thanks for this. Can you give some details of the John Furnival book, Graham? I wasn't aware one had come out recently and haven't been able to find it. Something to do with his show at England & Co in 2010? It's a shame Furnival wasn't able to come to the South London Gallery event. He would have had a lot to tell us about Houédard. i got it via abebooks about a month ago, and having a look in the back it was printed in an edition of 50 (which i didn't realise-when i got it there seemed to be a few of them around). I can't find one to link to. Thanks for that, Graham. The Locative-Vocative Cases: I see there's another one going at Abebooks. Alice Rawsthorn has written a column about Houédard for the New York Times.